It’s fun in the sun this week and first up on the agenda: a former military base and endangered wildlife preserve. Accessible only by water, Dad and I arrived on Egmont Key via a choppy ride aboard his small Mako four stroke. We launched from the Fort De Soto boat launch; about 7 miles in . A strong headwind and dangerous whitecaps slowed our journey but allowed for a lone dolphin to keep pace. When we arrived, State Park patrol tried to scare us away because we only had one anchor. We remembered to carry plenty of extra drinking water (no facilities on the island) but forgot the additional mooring. But, being the consummate Boy Scout, Dad improvised and found a way to tie our transport securely to an abandoned pier. 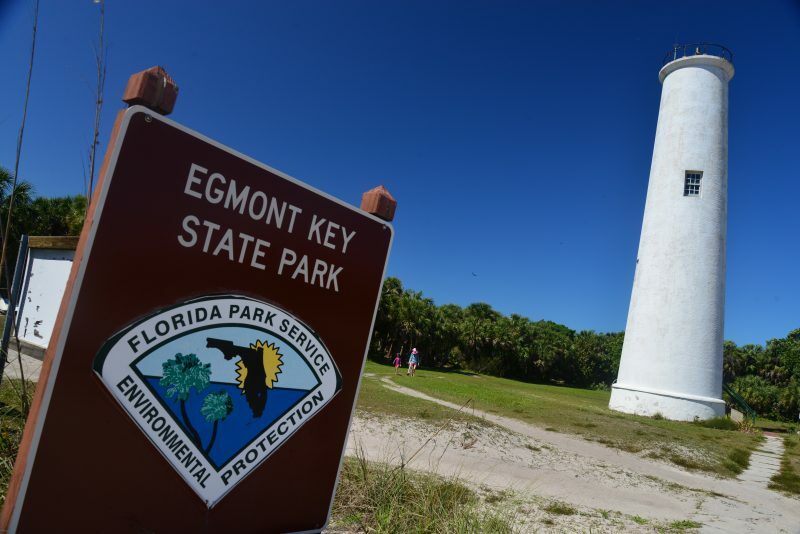 Egmont Key is a barrier island at the mouth of Tampa Bay, Florida. 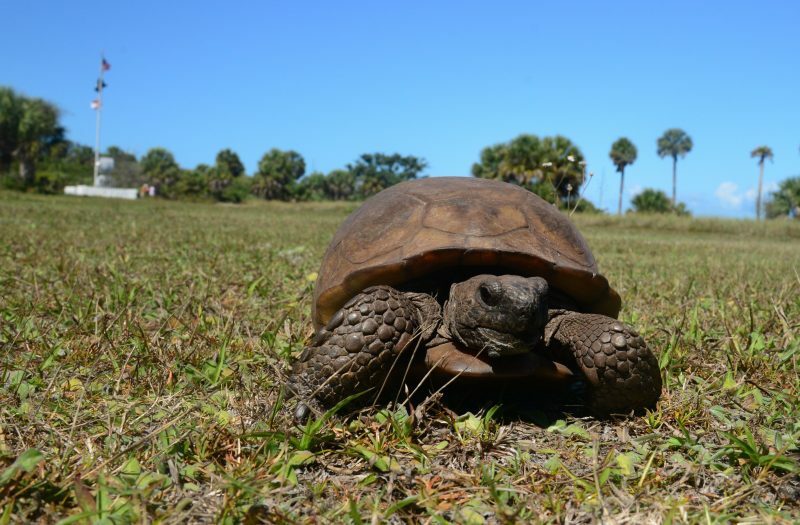 The pristine paradise is ripe with indigenous fauna and flora like cabbage palms, burrowing gopher tortoises and nesting terns. The wildlife refuge was established in 1974 but most of it remains off-limits (closed) to the public. While Dad kept tabs on the boat, with camera in hand, I went off to explore what I could of the 250 acre habitat. Interpretive signs helped to explain over 150 years of armed history from the Seminole Indian Wars to the Civil War to the Spanish American War. Parts of Fort Dade remain intact while some rests near the bottom of the Gulf of Mexico. Bring a snorkel if you have one. A working lighthouse dating back to 1848 and a Guardhouse built in 1910 are some of the other highlights. I especially enjoyed roaming around Battery McIntosh, one of five gun batteries on Fort Dade. It’s incredible to see how heavy jungle growth can literally swallow up once-formidable infrastructures. Sandy trails morph into red brick roads that still look new despite centuries of heat and humidity. If you’re in Tampa, hurry to visit this unique environmental landscape. Sadly, constant erosion from rising waters predict the island will be completely submerged by 2050. The ferry ride is another option if you don’t own two anchors. To enjoy more photos, visit my FLICKR ALBUM. ‹ A recovery walk at Falling Waters Preserve	› Move over Burlington, here comes Plattsburgh!